Remember, a great birthday party is never an accident. Making a birthday unforgettable means having a plan and great birthday ideas that make it unique. From themes, speeches, party games and more. We’ve done all the hard work so you can make the most of that special someone’s day. 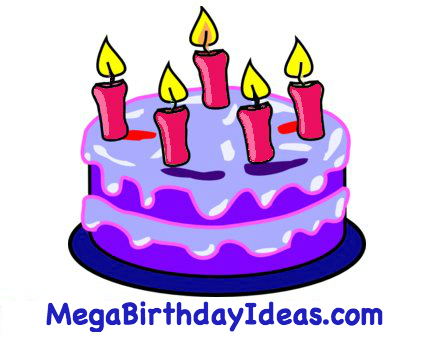 When it comes birthday ideas, planning and speeches, MegaBirthdayIdeas.com has you covered. So why do we celebrate a birthday? Here’s a little history of where it all began. It is believed that this age old tradition dated back to ancient Egypt when pharaohs were crowned and consider to be gods. Their coronation date was considered to be their ‘birth date’ as a god. From there, it is understood that the Greeks began to celebrate their gods and goddesses. They had offered a moon shaped cake to their god Artemis as a tribute to the lunar goddess and added candles to the cake to emit a glowing effect. Romans then began to celebrate the birthdays for men only, where a cake consisting of wheat, oil, honey and grated cheese was supplied. Women were not allowed to celebrate a birthday until the 12th century. In the late 18th century, the popularity grew and German bakers then went on to invent the modern version of the birthday cake for children. The child’s birthday was celebrated with a candle being placed for every year they had been alive. The blowing out of the candles and making a wish also became part of the celebration. The celebrating of sugary cakes was only available to the wealthy. By the late 19th century, the industrial revolution allowed for an abundance of pre-made cakes to be available to all which allowed for cakes to be apart of the birthday tradition.